Different varieties of tomatoes are better suited for different types of food. Salad tomatoes are firm and flavorful, but they may not cook up as well as tomatoes used to make paste. Whether you are making sandwiches or salsa, it’s a good idea to know which tomato variety works best for your culinary project. Salad tomato varieties are smaller than large slicing tomatoes. You can cut a salad tomato in half or in quarters to create bite sized morsels for any salad. Smaller salad tomato varieties include Cherokee Purple, Arkansas Traveler, Gold Dust, Green Zebra, Potentate, Nebraska Wedding, Money Maker, Heatmaster, Polbig, Fourth of July, Dr. Walter, Early Girl, Tigrella, Red Grape, Juliet, Jolly and Yellow Perfection. Some salad tomatoes are yellow, some are red while others may have stripes. Another good choice for salads, cherry tomatoes are also available in a variety of cultivars. There’s no need to slice small, round cherry tomatoes; just drop them into the salad whole. Cherry tomato varieties include Green Grape, Yellow Pear, Red Pear, Sun Gold, Tommy Toe, Peacevine, Gardener’s Delight and Cherry Dots. Beefsteak tomato varieties are best suited for sandwiches and cooking. 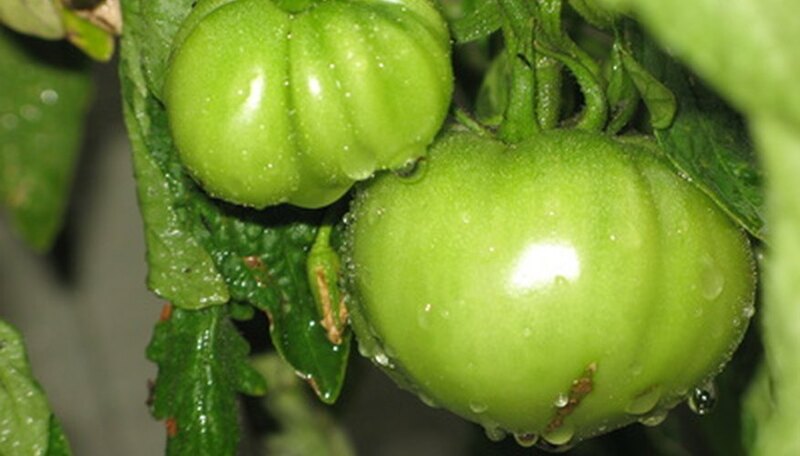 They are the largest of all tomato varieties, with a relatively small pulp cavity. The placenta holding the pulp together has a similar appearance to marbling on a steak. These tomato varieties hold together well when sliced, and cook down well for sauces. Beefsteak tomato varieties include Big Rainbow, Evergreen, Great White, Giant Belgium, Marvel Striped, Mortgage Lifter, Pineapple, Supersteak and Ponderosa Pink. Like Beefsteak tomatoes, plum tomato varieties are best used for slicing and cooking. They also have a small pulp cavity and a large meaty section. Plum tomatoes are most often used in canning. Varieties include Amish Paste, Plum Crimson, Sausage and Costoluto Genovese. Tomatoes with little to no seeds boil down more quickly into a paste. Tomato varieties that are best for making paste include San Marzano, La Roma, Opalka, Napoli and Principe Borghese. Tomatoes for making salsa should have meaty walls, and should preserve well. These varieties include Dona, Yellow Pear and Roma. You can use any tomato variety that you prefer to make fresh salsa that you do not plan to store. Remove the seeds and water before slicing the meat.